Don’t necessarily like lifting weights or running on the treadmill every day? BAC offers racquetball and wallyball as alternatives for your daily exercise line-up. We offer complimentary racquets and balls for use so you don’t have to go and purchase anything. 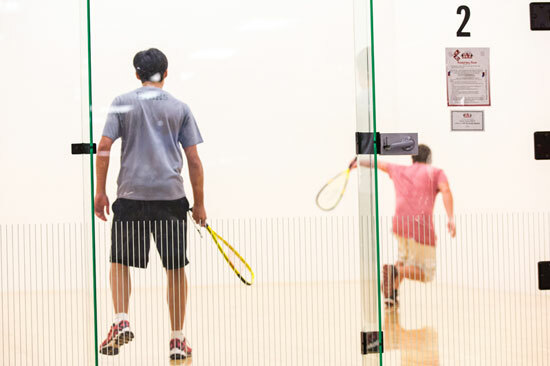 We have two racquetball courts available for reservation during all club hours. Racquetball court reservations are for 1 hour and can be made one day in advance between 5am and 10pm on weekdays and during regular club hours on Saturday and Sunday. Only members of BAC may reserve racquetball court. Wanna give it a shot? Come out and see us.